I race bikes a lot. I’m not even sure if I love riding my bike as much as I love racing it. I’ve raced alley cats in Providence, Portland, Berlin and NYC. I’ve raced Cyclocross in the snow, in frozen mud, in pouring rain across beaches and in the desert. I’ve raced road races with crowds so rowdy the entire city’s police is present, races that shut down entire business districts of towns, races with five-figure prize purses on the line, and races against teams whose budget could change politics. 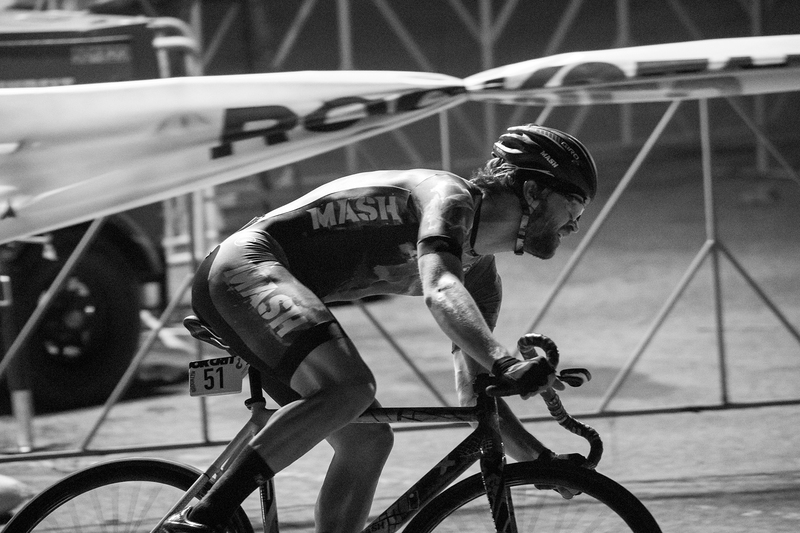 Yet, after all those experiences, it is the Red Hook Crit that I am most nervous for now. When I first raced Dave Trimble’s event 8 years ago, I sort of wandered around the scene until the race, not knowing anyone and anxious to start riding. The course had some lumpy cobblestones that I flatted on. At that time, Trimble allowed free laps (on the honor code!) so I sprinted to my bag with spare wheels and put one on. I was with the lead group at the time, and jumped back in, only to slam into another pothole in the dark, flatting both tires and ending my race. I couldn’t have predicted that over the following years, I would become good friends with a lot of those hero’s I watched race and read about on the internet that weekend. I can actually trace many friendships’ roots to various Red Hook Crit events and parties. I sometimes speculate that the stress and anxiety I feel leading up to the race, and the euphoria and adrenaline released afterwards, bring out the best extrovert in me! Ultimately I’m grateful for the atmosphere the crit creates, (even though I lose hair over the race!) because it has given me friends around the world. This year’s event was too fast, too dangerous and brought for me a completely new set of expectations. I sound like a broken record, as I’ve said this every single year before, but never before have we truly seen team’s pouring resources and recruitment efforts into this race series, quite like now. Of course, the irony is that MASH SF was one of the first teams to bring aerodynamic equipment, a polished aesthetic, and tactical teamwork to the RHC. Possibly my new fear of the race speed and risk is just me being a sore loser? Feeling left out because I don’t get to stand on the podium so readily as in year’s past? MASH this year was Chas, Duke and myself, with Mike supporting us with rollers, snacks, jokes and the sexiest kit I’ve ever seen. We had a plan to race together, but the qualifying heats did not go in our favor, and for all intents and purposes, we were all on our own. In the qualifying heat of this year’s race, my legs were pummeled by the guys, and my only tactic was to lead out as long as possible near the end of the heat, to guarantee a qualifying position. I was passed like I was standing still towards the end. I watched racers from the top teams crash, I heard crashes behind me, a rider from an Italian team took his hand off his bars to push me in the race, after I yelled at him, and I felt pedal strike on 165mm cranks from leaning so far over in the hairpins. I went home after qualifiers and slept for an hour–I was wrecked physically and mentally. By the final race, it seemed like I had gotten the hang of it a little more, putting in a few digs and giving what I had to try to get off the front. In the field it was a mayhem of jostling bodies and I was riskily resting in there for a few laps in anticipation of giving it one more go when a rider divebombed the hairpin, chopping me and crashing himself out. I landed on top of him, and when I got up, I watched the field over a half-lap ahead of me thinking to myself; race over. I chased back on, lucky that the large (huge!) field had slowed a bit, but that chase was certainly the last meaningful effort my body would produce in the race. As I wound my way to the front of the field, preparing for the finale, the race was neutralized due to a crash. Ceasar has a broken collarbone, but I hear he is otherwise alright. The ensuing restart was a tense affair. Thank you to whomever it was keeping the pace high, and thank you to my luck for finding Addison Zawadda’s solid wheel in the last lap. Following him, I squeeked out an 8th place finish, and spent my cool-down lap hugging and high-fiving all my friends from NYC who had come out to watch. I am so happy that I’m still in the mix of this race and that MASH SF still finds value in supporting the few of us psychotic enough to want to race. 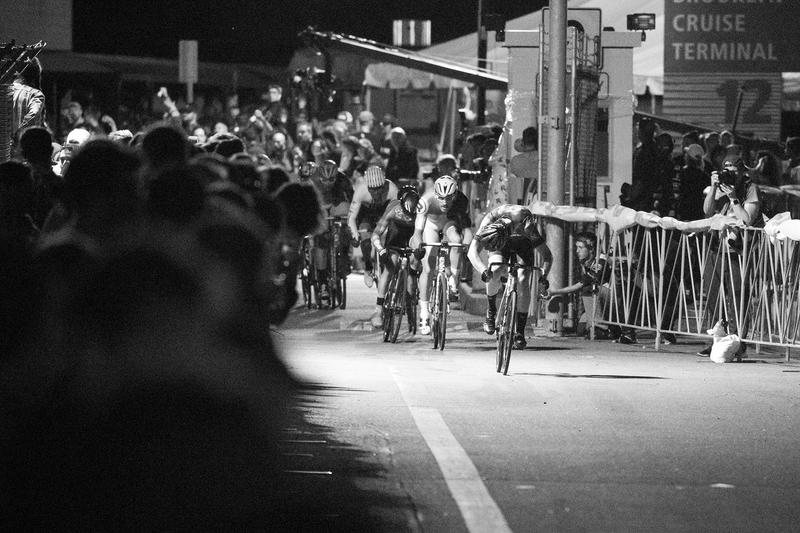 This was the first year in a while I really told myself and others that I would like to win the Red Hook Crit. I feel like I gave it a good shot and haven’t given up hope for the rest of the series. But ultimately what I was reminded of this year was the extensive community of people that make my time racing worth it. Performing for friends, psyching myself up with Chas and Duke and Mike, hugging too many familiar faces to count, and dancing like an idiot well into Sunday morning were better prizes than anything to be found on the podium. Thanks to all the sponsors: Giro, Enve, Oakley, Phil Wood, Jandd, Castelli, Selle San Marco, Continental, and most of all: MASH SF!! !